Please click for a slideshow. 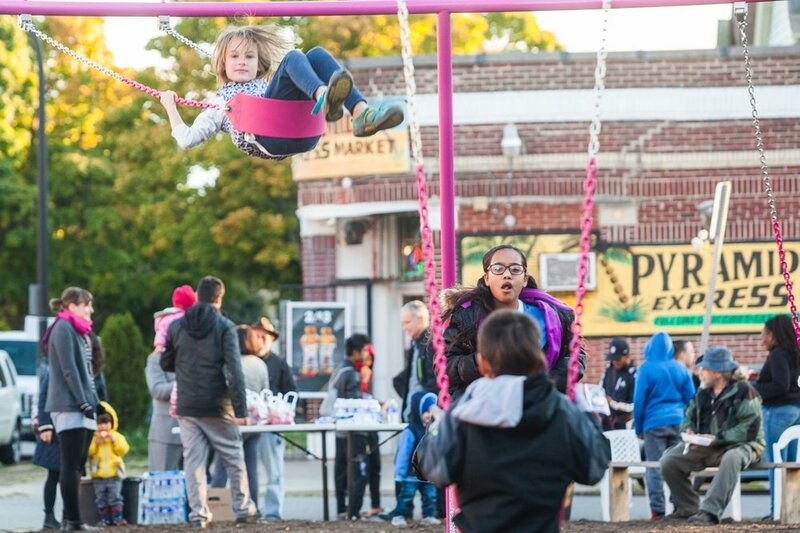 This interactive sculpture takes an element commonly found in parks and playgrounds - the swing-set - and by questioning its conventional linear arrangement through a simple act of rotation achieves a transformation that is abstract, spatial, political and interactive. The project stems from an interest in play spaces and playgrounds, in the broadest definition of that term, as spaces which can be used to liberate the individual from the realm of the generic and at the same time offer opportunities for the enrichment of the ordinary. Starting with a familiar construct and transforming it, the installation will twist the typical experience of a swing-set by including elements of confrontation and dialogue through the positioning of individuals in relation to the work and each-other. Bringing a piece of playground equipment together with the charged spatial arrangement of political round-tables and corporate conference rooms, the installation takes the playful construct and positions it in the adult-world. By focusing on the user, the project will be a manifestation of these ideas and an embodiment of socially-conscious and thereby political engagement of design in the questioning of the basic relationships between people in space. Taking a familiar play-structure and through a simple rotation giving it a new logic and spatial organization endows it with the possibility to spark communication and dialogue between its users. No longer partaking in parallel movement as on a typical swing-set, the users of FULL CIRCLE will be confronted and involved in a playful dialogue. The individual user will decide whether to face into or outside the circle, thus determining his or her level of interaction with others. 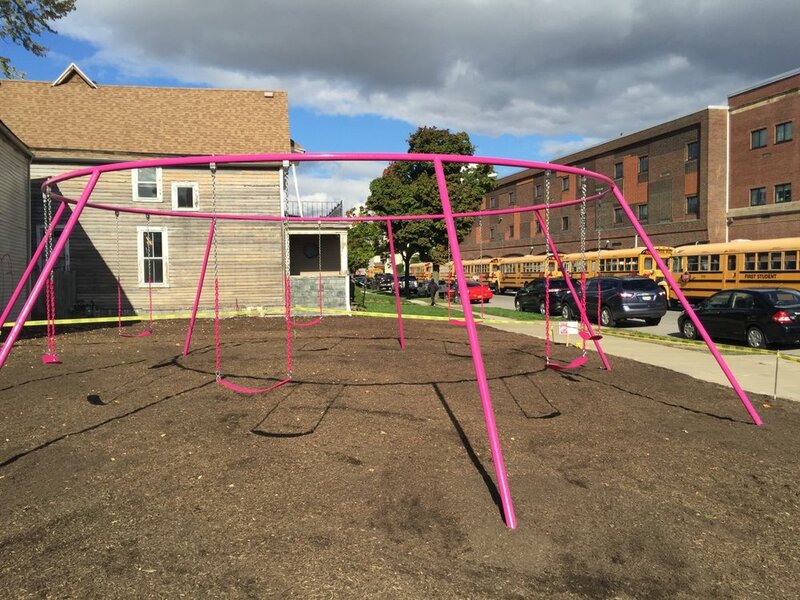 Nestled in a typical West Side lot and taking the elements of a typical swing-set as a starting point, FULL CIRCLE twists the reference to become an abstracted and engaging spatial installation.